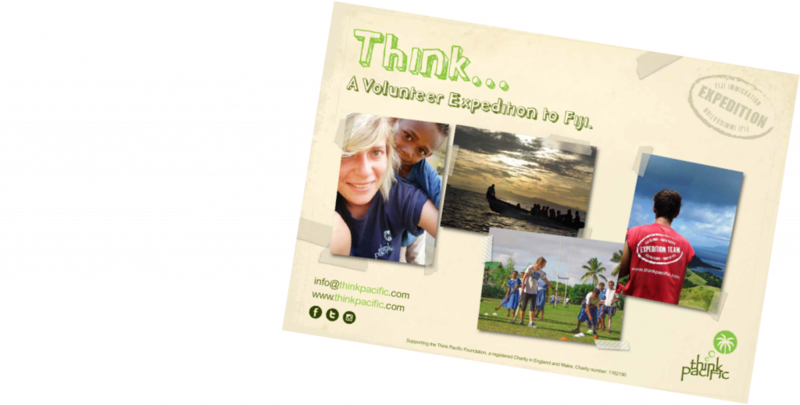 Volunteer in Fiji and experience the unique culture, customs and way of life of the incredible South Pacific islands. 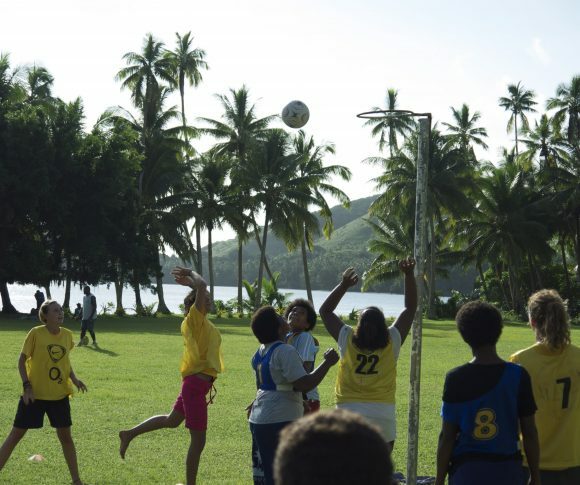 Our projects offer you the opportunity to actually join a traditional village, to become a member of a Fijian family and work as a team to contribute to education, youth and sports development projects, which are making an immense difference to the lives of children living in hardship. A Think Pacific project will take you to a village you can only experience with us, because of our unique partnership with the Fijian Government. Which means you can get under the skin of a beautiful country with beautiful people to make deep and meaningful relationships, whilst making a real contribution to communities that really need your support. 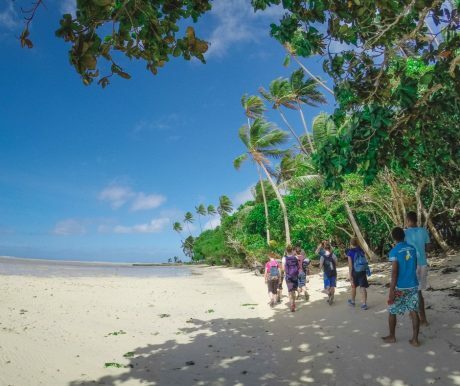 How You Could Volunteer in Remote Fiji? 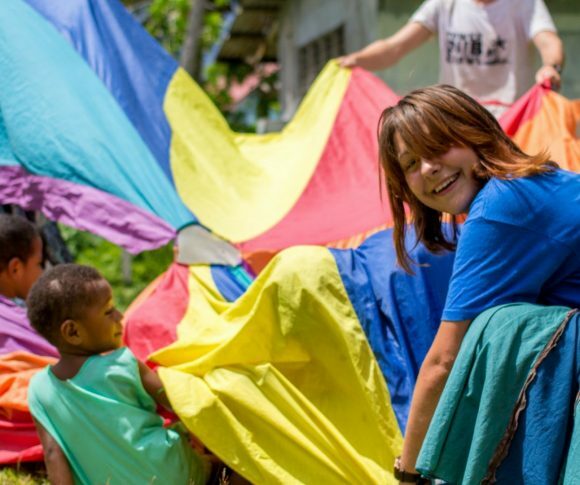 Our volunteer programs are focused upon working with children in Fiji. We’re achieving record results as we improve educational standards, increase sports participation, establish kindergarten schools, pioneer rugby and netball development and introduce the first extra-curricular lessons in primary schools. What impact will you have? The family that I lived with were so lovely and we are still in contact now I’m back in England. I still refer to them as mum and dad and talk about my little Fijian brother constantly. The children in the village were so happy to see you, play with you and hug you; you were never left alone but I loved this. It was a blessing to be made so welcome by the whole community. Seeing the simplicity of life in a Fijian village has changed my outlook on life at home, and made me re-evaluate my priorities. It has also highlighted how we obsess over trivial possessions; often forgetting what the most important things in life are. I am fairly-confident that I am not only speaking for myself when I say that this experience has changed my life for the better, and that I will be forever in debt to the people of Fiji for the kindness and hospitality. From the small daily interactions with the Fijian community, to those life changing moments. As a team, we grew so close and as a village we bonded as one big family. There’s not enough time to say all we achieved and experienced, but I will keep those memories throughout my life. Fiji is a truly amazing place and I’ve had the time of my life. 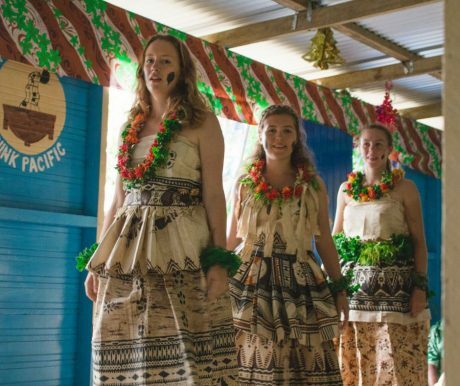 A Think Pacific volunteer project is the opportunity not just to visit Fiji, but to join the traditional villages, to live with Fijian families and become a member of the community. We volunteer with children living in the poorest villages. We strive to increase education, sport and opportunity and break down barriers of poverty. Volunteers are the backbone of our charity in Fiji; delivering our aims on the ground, working in rural schools and villages across remote islands on our carefully planned team programs. This is real volunteering and real development. Our programs will test you and take you out of your comfort zone. In return you’ll be rewarded with the experience of a lifetime. Directed by our grass roots charity, in partnership with government departments and working alongside UNICEF. Through long term programs, we’re seeing dramatic improvements in children’s education, sporting access and widening opportunity. Volunteer with children who have the biggest smiles, yet face some of the greatest barriers in life. You’ll be inspired by the children we work with and by volunteering alongside staff and local partners who have a desire to make a difference. Alongside volunteering we trek jungle rainforests, climb extinct volcanoes, visit remote waterfalls and snorkel the reefs. 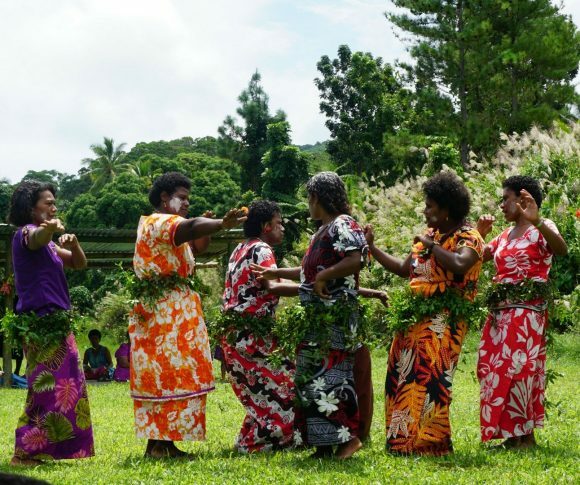 You’ll join a remote village, immerse into Fijian culture and learn traditional island skills. 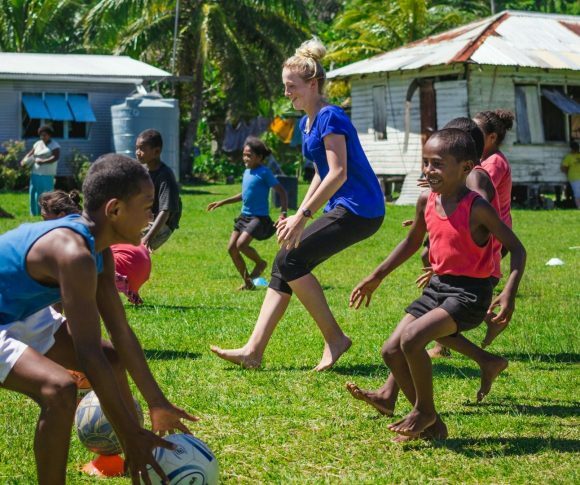 Think Pacific is more than a volunteer program; we lead a guided expedition through the heart of the Fiji Islands combining volunteering, adventure and unrivalled cultural insight. 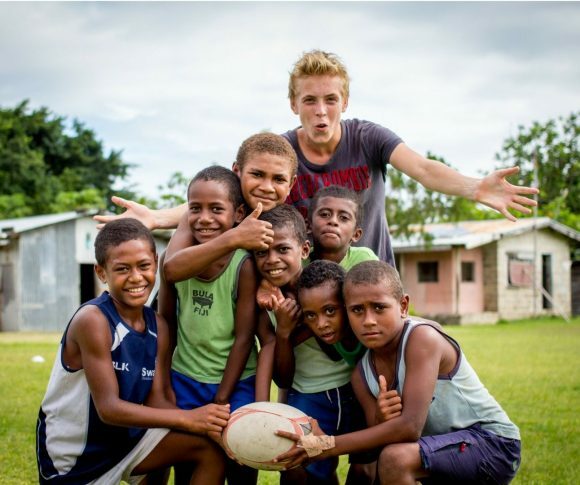 Whether you’re taking a gap year, a break from work, a rewarding summer holiday, or an escape from your studies, volunteer with us and you’ll leave Fiji enriched by your experiences and part of a group of friends you’ll be in touch with for years. Fiji is the only country we operate and our all our programs are guided, designed and overseen by our charity, registered in the Fiji Islands, The Think Pacific Foundation (FIJI) charity number FJ 989 and in conjunction with the Fijian Ministry, ensuring your volunteer contribution is part of a bigger picture of long term support, which is striving to uplift Fijian children out of poverty. 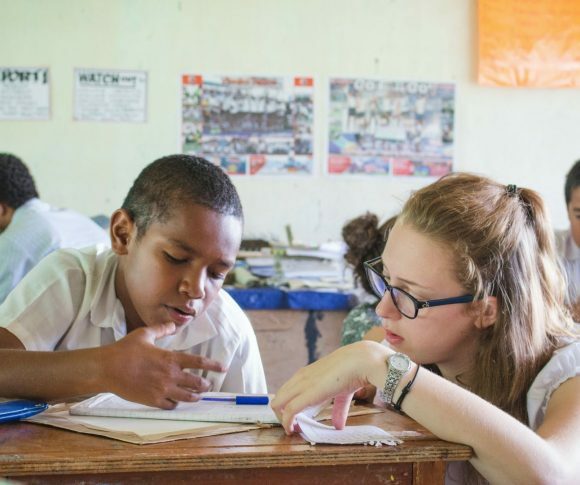 We train Fijian teachers, up-skill Fijian community members, donate educational resources for thousands of children and provide a locally led and hands up approach to development, which has been designed by local communities to address real need. Does Fiji Sound Like the Challenge For You?